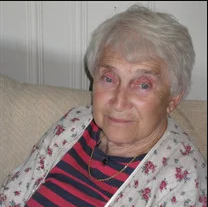 Marie Joan Perillo, 92, of Irvington, New York, passed away on December 22, 2018. 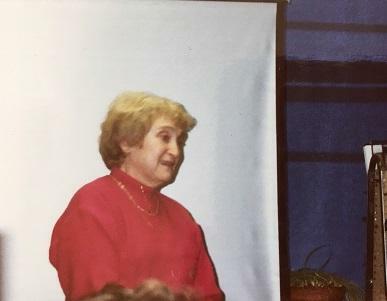 She served as Director of the Irvington Public Library from 1983-1988, and hired both Agnes Sinko and Pamela Strachan. Memorial Mass will be held at 10 am on Saturday January 19, 2019 at the Immaculate Conception Catholic Church in Irvington, New York. Burial will follow at the Gate of Heaven Cemetery in Hawthorne, New York. Marie Perillo was born in the Bronx, New York to John and Mary Kucija on December 27, 1925. She graduated Phi Beta Kappa with a degree in Geology from Hunter College and earned a Masters in Library Science from Columbia University. She married Robert Joseph Perillo in 1949. In lieu of memorials, the family requests that you visit and support your local public library.